(File pix) The Cabinet — how many of them do you know by name and post? DEAR Yang Berhormat, much ado was made by certain quarters about your first 100 days in office. This goes to all Yang Berhormat, regardless of which side of the political divide you are on. Of course, the focus is more on those of you from Pakatan Harapan, which swept into power after defeating Barisan Nasional in the May 9 general election. There were so many new faces that some of you are hardly known and visible. YBs, you must be seen and heard! For the right reason, of course. I notice that some cabinet ministers are still groping with their new role and responsibilities. Communication is the key, YBs. Learn to communicate well and you shall be rewarded. Until lately, the first 100 days in office was not a local issue. It became one when Pakatan Harapan made certain promises that they would undertake to do in the first 100 days after forming the government. Whether or not the promises made and declared in their manifesto that they would be delivered within 100 days helped to win the election is debatable. But they certainly caught voters’ imagination. And now, voters are demanding that the promises be kept and delivered. I’m not commenting on this beyond saying that the promises must be kept, or you may face the voters’ wrath five years down the road. Of course, you now know that many things are worse that you had anticipated and that it might take more than a few hundred days to sort out and deliver. I would leave that aside for now because that is a matter for the Federal Government to tackle. I’m more concerned about individual YBs, especially those who entered the fray for the first time and now find yourselves a lawmaker. Some of you must have been half-surprised that you are now THE government! YBs, being an elected representative is not a bed of roses. Many of you will soon know, or may have known so by now. What difference can you make, YB? I know there were many kenduris held by you and for you in the last few months. A makan besar here and a makan kecil, that is to be expected. I know a new YB has been feted so many times that some voters could memorise his “thank you” speeches! These kenduris have to stop at some point. I hope the new YBs would have settled down and set up your own operational network in your constituencies. This is important because you have to serve the people who voted for you and made you their elected representatives. You have to repay their confidence. 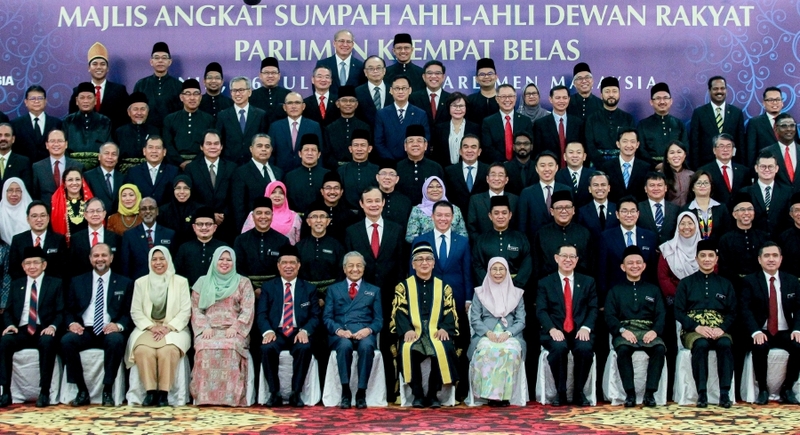 Some of you may have found yourself with a new job, such as being made a minister, deputy minister, menteri besar or chief minister. This is by no means a small task! If you are fortunate to been given such a task, then the task of looking after your constituency becomes more challenging. I hope the newbies among you would, by now, set up your service centres, manned by people you trust and are capable of being the bridge between you and the rakyat. While you go about in carrying your tasks as a minister or the equivalent, please remember that you have an electorate to serve. You can’t be just discharging your duties in the cabinet or state secretariat all the time. You must come back to your kawasan (area) and see to the needs of your voters. I have heard some scary stories in the last month or so. Individuals who claimed to be acting on behalf of a new assemblyman have been going around “selling” forms. It seems that these individuals have been promised by the new YB that they would be rewarded with government land, and the assemblyman would ensure that the applications would be duly approved by the menteri besar and state executive council members. The story goes that certain individuals have been appointed as the assemblyman’s point man in the kawasan. If voters want to meet the elected representative, they have to go through these individuals. This is a YB from the ruling government. If this is true, then this a poor reflection of the transparency and good governance that the government has declared to promote. You have to do an immediate probe into this, YB, before it gets worse. For all we know, you may not have even issued such an instruction! But, the operators on the ground are taking advantage of their closeness with you, your inexperience and they have no qualms about exploiting the situation. I hope this is not true. New YBs must be alert to the possibility of such scams by opportunists. Unless you yourself are an opportunist, YB! God forbid! YBs, don’t fail us, the voters. We put you there for a purpose. Do your job well and sincerely. Live up to your promises. We expect nothing less.